TiVo fans who want to be able to watch whatever they want, in any room that they want can finally stop waiting. Sure, some have been satisfied with TiVo's Multi-Room Viewing even though it required multiple DVRs with the multiple Now Playing lists and multiple ToDo lists that go with them. But for those TiVo fans who want a single whole-home DVR, the TiVo Mini is available to order for $99.99 plus a $6-per-month subscription, or $249 for the device with lifetime service. This is less than the cost of another TiVo, but more than most set-top boxes available at retail. Of course the Mini can do what most less expensive retail boxes cannot; take the place of a DVR and deliver the most popular programming source in America, premium cable TV. Exactly how well it extends the TiVo experience to another room is what you'll find out if you click through. 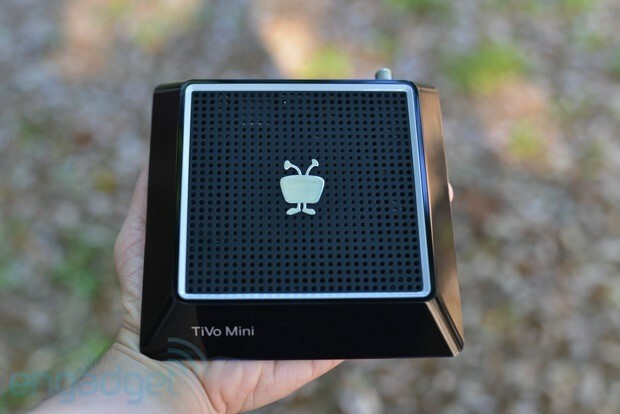 The TiVo Mini is a great way to affordably extend the TiVo experience, but we'll have to wait for some updates to complete the experience. How would you rate the Mini? 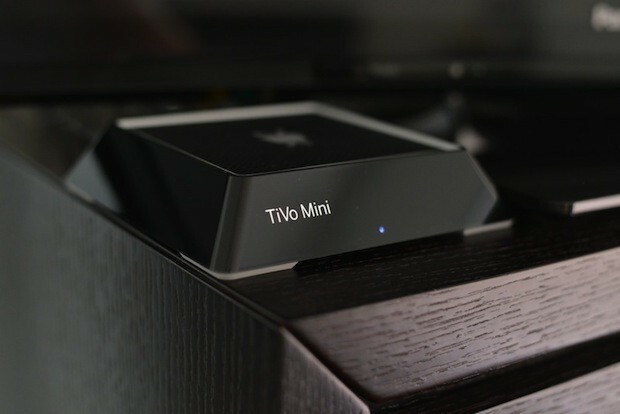 The TiVo Mini is almost as small as the TiVo Stream and its trapezoid shape is unlike any other device from TiVo. How small is it? At 6 x 6 x 1.3 inches, it's small enough to hide behind your TV, and thanks to holes on the bottom it should be pretty easy to mount on a wall or under a tabletop. On the front is an LED to indicate when the box is powered on and when an IR signal is received (you can set it to only flash when the device receives IR). The connections on the back include the required power, HDMI out and Ethernet port. 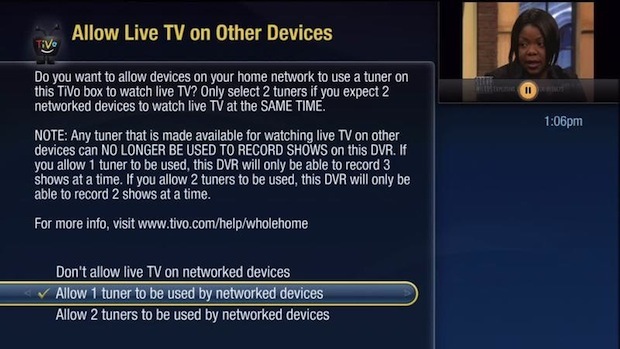 TiVo owners with only dual-tuner models are out of luck, as the Mini requires at least one four-tuner DVR on the same account. There's also a coax cable, but not for what you might think. The Mini doesn't have an internal tuner, which is also why it doesn't have a CableCARD slot. Instead, it relies on one of the four tuners in a TiVo Premiere for live TV. TiVo owners with only dual-tuner models are out of luck, as the Mini requires at least one four-tuner DVR on the same account. So the coax connection is another way to network your devices together, but using MoCA instead of Ethernet. While not as prevalent as CAT5 in the world of IP communications, MoCA has grown as the medium of choice for whole-home DVRs. This is thanks to the number of homes in America with an existing coax run to every room, its reliable throughput and the fact that it plays nicely with traditional TV services -- DirecTV, Dish and many cable companies rely on some form of the technology, for example. Unlike the TiVo Premiere with MoCA, the Mini will not function as a MoCA-to-Ethernet bridge. So if you were hoping to piggyback off its network connection for your game console or smart TV, think again. Even though there are two supported ways to connect to the network, some might be looking for WiFi, but you won't find it here. That's not a surprise, as none of the modern crop of live-TV extenders support it either. We're convinced this is for reliability reasons, especially since TiVo is very clear that the Mini isn't supported at all via WiFi. 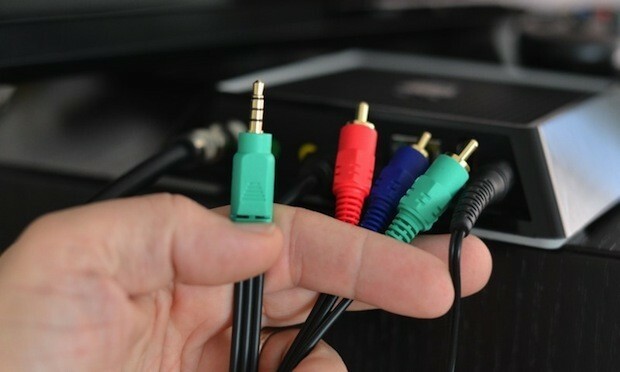 For those without a newer HDTV in every room, there are component or composite video outputs with analog audio via breakout cables. These aren't off the shelf cables, however, as they use 3.5mm jacks to save space on the back of the Mini, but the special cables will be available from TiVo. The TiVo Mini package does include an HDMI cable and a network cable, which is appreciated. The last port out back is a USB port, which so far is only useful to those with TiVo Slide remotes and the required USB Bluetooth adapter. The one hardware feature we are sad to see missing is HDMI-CEC. The one hardware feature we are sad to see missing is HDMI-CEC. Without this control protocol, the dream of having a remote program itself for TV power, input and volume is lost. More importantly, this means there isn't a way for the TiVo app for iPad, iPhone or Android to control the volume or power of the TV. The last accessory in the box is the TiVo remote. Disappointingly, but not surprisingly at this price point, our favorite TiVo Glo Premium remote is not included; instead, it's the basic TiVo Premiere remote. Setting up a TiVo Mini is a lot like setting up a TiVo DVR: you make all the connections out back and then run a guided setup. We used MoCA to connect the Mini to our XL4, which we suspect will work for most users. 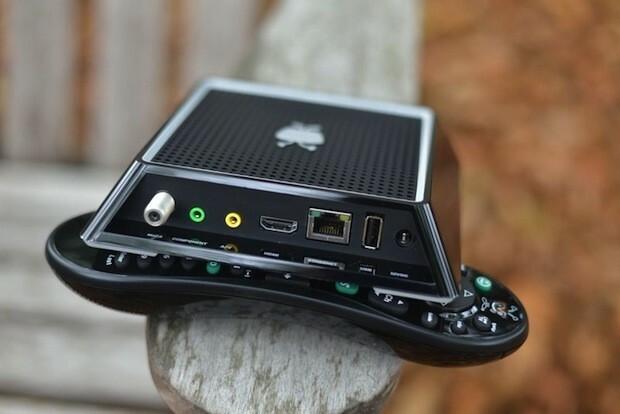 If you don't have a network connection where your Mini or your Premiere are located, TiVo will offer a MoCA-to-Ethernet bridge that can go just about anywhere, as long as there are Ethernet and coax drops. Our video connection was pretty basic, with a single HDMI cable connected directly to a recent HDTV, and there were no handshake issues to speak of. The rest of our setup took longer than we would've liked, clocking in at almost two hours after the physical connections were made. This process included installing a software update and waiting for both the TiVo Premiere and the TiVo Mini to phone home. We're told the update is unique to our early access, but all Mini owners will have to wait for the devices to connect to the mothership, as both must be registered to the same TiVo account before they can communicate. The guided setup does have far fewer steps than the TiVo Premiere's -- thanks to the lack of tuners -- but there are the same familiar video and audio output settings. By default the video output is set to automatic, thanks to the wonders of HDMI, and we're happy to report that, like TiVo DVRs, native pass-through is available if you prefer to leave the resolution conversions to your HDTV. We mentioned earlier that a four-tuner TiVo Premiere is required. In fact, you can't even finish the guided setup without one. You might be wondering if there is a technical reason for this, and our guess would be no. We say that because it's possible to configure your Premiere to not share any of its four tuners with the Mini. Setting it up this way means no live TV on the Mini -- we'll discuss a workaround in the next section, as well as other limitations -- with the other option being to reserve two tuners to serve up live TV to more than one Mini in your home at the same time. The Mini isn't completely oblivious to a dual-tuner TiVo, however. For instance, if you have a few TiVos on your network, the Mini can access recordings from both two- and four-tuner models. We've long believed that the key to a great whole-home DVR experience is consistency. Viewers shouldn't have to concern themselves with things like which room they are in when trying to schedule recordings or watch their favorite shows. The bad news: the Mini doesn't deliver a completely seamless experience. The good news: the TiVo Mini experience is actually much snappier than that of the TiVo Premiere, and all the tentpole features are there -- or will be. One key feature that does lag a bit on the Mini is changing the channel while watching live TV (the progress indicator in the image below was added to help time pass). TiVo users watch less live TV than most, but those who like to channel surf will have to live with channel-changing times that are about twice as long as those on the TiVo Premiere (4.5 seconds versus 2.5). Thankfully, though, that's where the lag ends, with trick-play functionality such as pause, skip, fast-forward and rewind working every bit as briskly as on a real TiVo DVR. Speaking of which, the Mini experience for playing back recordings is identical, with the 30-second scan set as default and the well-known 30-second skip backdoor still working. And of course, resuming a recording in a room works exactly as expected: you pause in one room and pick up from the exact same spot in another. The other noticeable difference when watching live TV is the lack of dual live buffers and the lack of a buffer on shows that are currently being recorded. 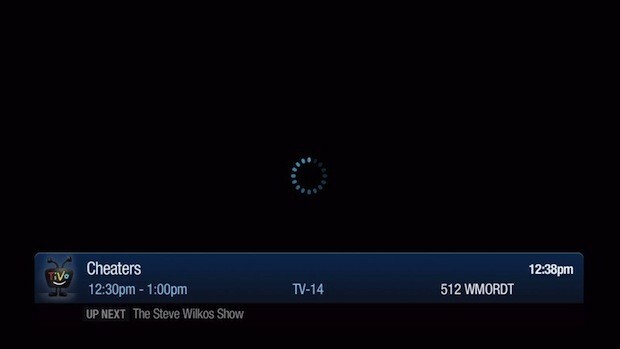 On a TiVo DVR, if you tune to a show that is currently being recorded, the buffer is available for you to rewind to the beginning of the show. With the Mini, if you want to start from the beginning, you'll have to select the show from My Shows rather than from the guide. This is because the Mini can only use the one assigned tuner from the Premiere. We're told that the ability to dynamically use a tuner for live TV is coming in a future update, but the lack of buffer is the least of our concerns. The big downside to the current functionality is that assigning a tuner for live TV on the Mini means there is one less tuner available for recording. This is true even when you aren't using the Mini. If you don't watch much live TV, there is an acceptable workaround. We disabled sharing a tuner for live TV via the Premiere's settings and found that we could start a recording from the guide on the Mini, then watch it live by selecting it from My Shows on the Mini. This is essentially how live TV on the TiVo Stream works, with the main difference being that the recording is started automatically for you when you select a show from the guide on the mobile app. 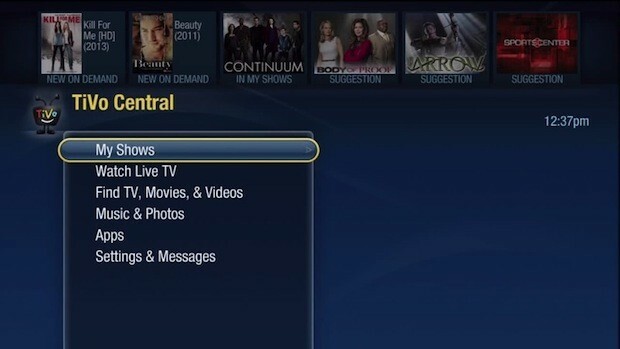 One missing feature that prevents the Mini from delivering a consistent TiVo experience is the lack of a Manage Recordings and Downloads menu (as seen missing in the image above). One of only six of the main menu options on the Premiere, this particular item is the key to what we call DVR maintenance. This means it isn't possible to review the To Do List, manage your Season Passes or to even determine why a show didn't record from the Mini. The good news is that all of these functions are easier to control on the TiVo mobile apps, and the core ability to schedule recordings and set up new Season Passes can be done via the Mini. We still think this is a miss, as we see no reason why we should have to walk to another room to cancel a Season Pass. TiVo has always positioned the TiVo Premiere as a device that "blurs the line between broadcast and broadband," and our hope for the Mini was that it would do the same. But you can't do that, or deliver a consistent TiVo experience, without Netflix. TiVo assures us that it is working to get Netflix, as well as Amazon, added to the Mini, but they will be glaring omissions if the Mini launches without them. Many of the other top content apps are there, though, including Hulu, Pandora and YouTube. Like other recent TiVo product releases, the Mini will require the promised updates -- including dynamic tuner allocation for live TV, and support for Amazon and Netflix -- before expectations can be met. TiVo has consistently delivered in the past but never as quickly as fans might wish, and for better or worse we expect that the Mini will be no different. Out of the box, the core functionality works well enough now to satisfy most while they wait. Exactly how the whole-home functionality will look after a few updates will be something to watch out for, but as it stands now, the Mini falls short of the competition in regards to consistency. The Ceton Echo, Dish Joey and DirecTV RVU client all provide a more seamless whole-home DVR experience than the Mini. But none of them work with your TiVo, and for those who believe that there is no substitute, you can finally enjoy a genuine whole-home DVR experience while spending less than the price of another DVR.